Yasmeen raises uncomfortable reminders of how close to home racism lives. Yasmeen Haddad Loves Joanasi Maqaittik follows a well-intentioned teacher who arrives in an isolated Inuit community, determined to make a difference in her students’ lives. In genre pattern, Yasmeen falls in love with both the community and a man who represents its foreign way of life. Carolyn Marie Souaid sets up her novel with upended expectations and a pervasive, bodily sense of unease. Newly arrived, Yasmeen is determined not to be just another racist white teacher who shows up to “civilize” the local Inuits. 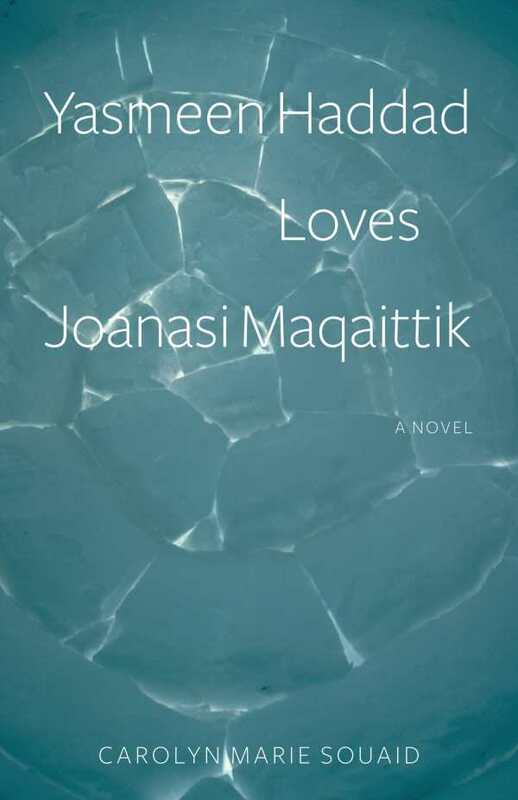 When she meets Joanasi Maqaittik, a local DJ, the two begin a relationship whose passionate love and eventual violence embody Yasmeen’s evolving relationship with her new surroundings. Souaid’s sentences are straightforward and remarkably clear in their depictions. Her language naturally pairs with the physicality of the story, allowing her to explore Yasmeen’s focus on an imagined primal way of life via a duality—the ways in which addiction and sexuality impact human bodies. Indeed, dualities and contrasts are the driving force of the novel. Unsettling realism is enhanced by Souaid’s understanding of the complications of race and complicity. What does it mean for Yasmeen, the daughter of Syrian Christian immigrants, who identifies herself as white, to want to avoid being a racist, even as her actions reduce and remove the agency of those around her? Souaid has created a protagonist who can’t simply be written off as a gross caricature of The Racist; Yasmeen raises uncomfortable reminders of how close to home racism lives.